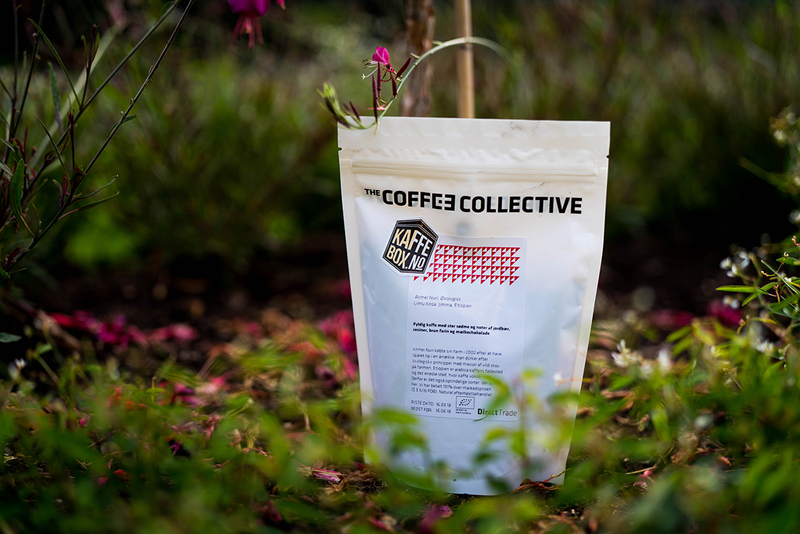 Part 2 for KaffeBox April 18 Box, in this post I’ll only write about the Bolivian coffee Finca Buena Vista from the coffee roastery The Coffee Collective. In Sunday´s post, you’ve been able to read about the coffee and also what I expect from the coffee. In this part, I’ll share my recipe for an awesome pour-over and Espro travel press as usual. At my cupping of The Coffee Collective – Ethiopia Akmel Nuri, I found it to be kinda similar to the description of the bag (Full bodied, great sweetness, notes of plums, raisins & milk chocolate.) and not what I all excepted it to be. I would also like to know how good this coffee would be with “fika”. I tried it with a dark chocolate with sea salt. I understand that this can be a weird thing to try out, as almost all coffees are well matched with chocolate. But there are those who really don’t, and that may mean they are only preferred enjoyed on their own. For example: Do you like green tea with chocolate? I certainly do not. It wasn’t a bullseye but it was okay. Acidic tastes of grapes with a hint of dried fruits. Altitude: 1 650 – 2 050 meters above sea level. The coffee has all the usual characteristic of a natural-processed coffee, it has the earthly feeling that natural processed coffee cannot shake off. It must sound a bit negative now that I read that sentence again, but there is a reason why I love natural coffee and all the personalities it brings. However, the coffee does not have the typical tastes you can find in an Ethiopian coffee, it has more acidity in my opinion. The acidity in the coffee seems to be higher than a normal cup of coffee from Ethiopia. You can almost compare it to a typical coffee from Kenya, which in my opinion is not a common comparison at all. It’s very nice on its own since the weather in Sweden is much cooler than the week before. So it’s kinda nice to drink a hot cup of coffee instead of the cold brew I’ve been making this super hot summer! If you have an Espro and a Pour-Over … What should you choose to brew with? Do you want a more balanced cup, go with the Espro, you also get a great result every time as it’s impossible to make mistakes. Do you want your cup to be more aromatic, brew with a Hario V60 etc. It becomes more spicy, aromatic and nicer on its own. Personally, I prefer a pour-over brew for this coffee, it gives a more aromatic coffee than a pressed one. If you press a coffee, french press or Espro, the coffee will have a characterless feeling. This coffee needs to be brewed with a pour over like Hario V60, it’s my definite recommendation! If you want to buy your very own KaffeBox and go through my recipes a?d reflections, be sure to order it so you can be ready for nexdefinite KaffeBox. Click here to order from their website. Use “kaffenytt” as voucher code, you’ll get 20% off your first purchase and I won’t get anything, this is only something I requested so I can give something to you readers!